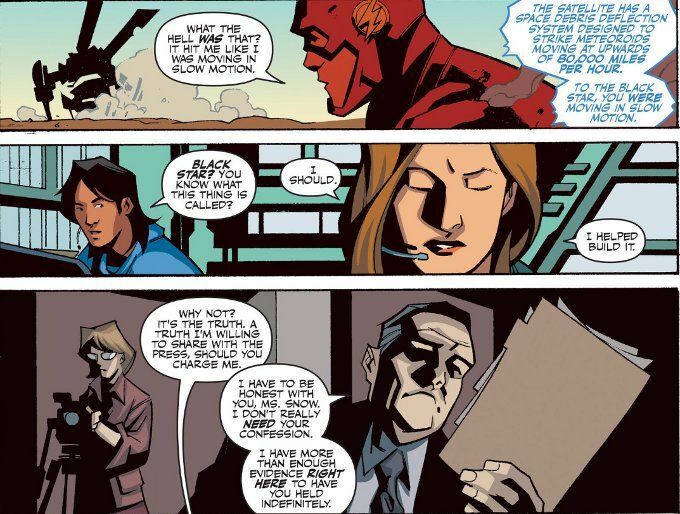 This issue of The Flash: Season Zero is unlike any we've seen before for a number of reasons. For one thing, this issue was written by creator Phil Hester, who had previously done the pencils for most of the series. Another difference is that this issue seems more like a work of hard science-fiction rather than the science-fantasy tales we usually see in The Flash. Finally, this issue is less of an action piece centered around Barry Allen and more of a character piece about Caitlin Snow. 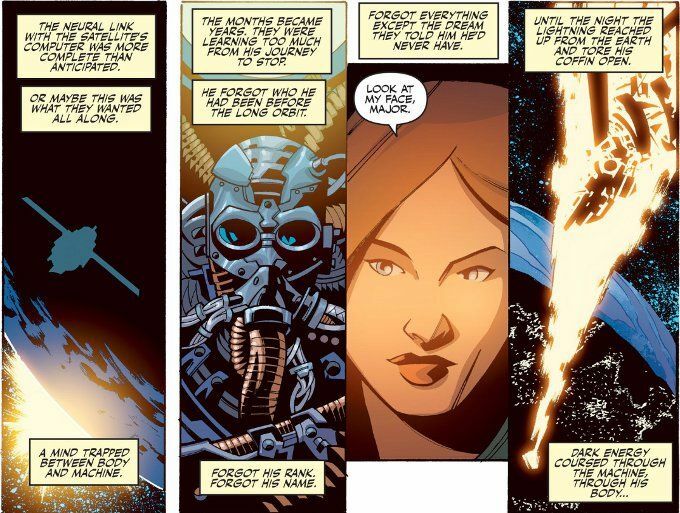 The plot reveals that before she went to work for STAR Labs, Caitlin was involved in a Department of Defense project that sent an astronaut wired to various censors into space, where he was abandoned long past his due date to come home. One dose of dark matter later and the so-called Dark Star slowly achieved sentience, though the man who made up its core remembered little of his past life, save the pretty face that assured him he would wake up from a short nap to see her again. The tale is a thrilling one and suites Hester's style as an artist well. And the story does a lot to develop Caitlin as a character, beyond being the uptight doctor who is still getting over her dead/absent fiance. The flow is a little confusing at first, as we cut between flash-backs, flash-fowards and the action as it is happening now with only subtle changes in the coloration by Nick Filardi indicating which scenes are which. Thankfully, this confusion is temporary and the story is even more enjoyable after a second reading.